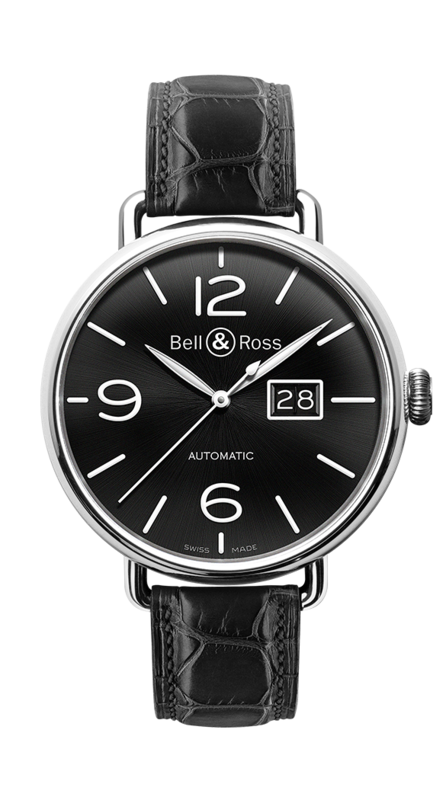 The WW1 brings together the design elements of the Roaring Twenties: a large fob-watch-type diameter, wire lugs welded to the sides of the watch, and a thin elegant yet strong leather strap. The WW1-96 is fitted with a large date. Functions: hours, minutes, seconds. Large date.